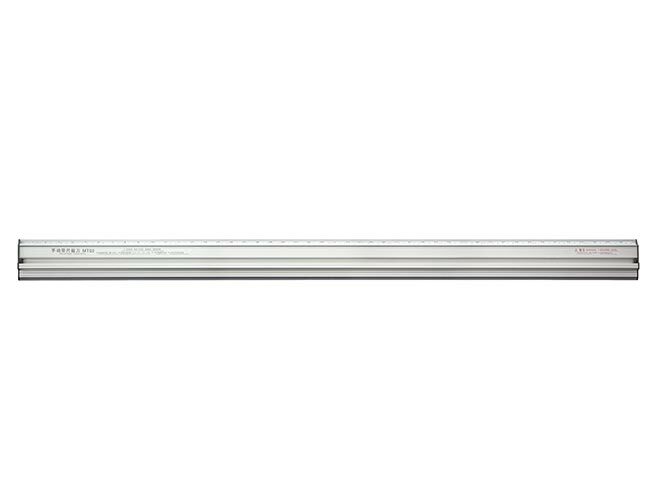 1.Safety Ruler MT03, size 700mm(28’’), 1000mm(40’’), 1300mm(54’’), 1600mm(64’’), 2000mm(79’’). 3.Two anti-slip on the bottom of ruler, avoid materials moving during cutting. 4.Protective structure design, avoid injury during working. 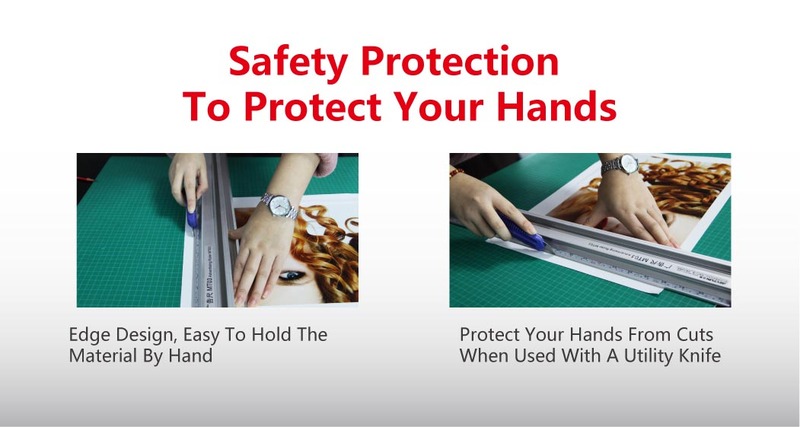 Safety Ruler are primarily designed to be held by your fingers away from the long edges. They are especially suited to use with a knife, blade or similar cutting tool, avoiding danger. They can be used as a guide to cut or score straight lines. Standard flat rules are more difficult to be held by your fingers away from the edges if being used with a cutting tool. It is adopted with “凸” shaped wide flat structure and handle. Wide flat design makes holding easily. Groove structure handle ensure the safety during cutting straight lines, and holding better. 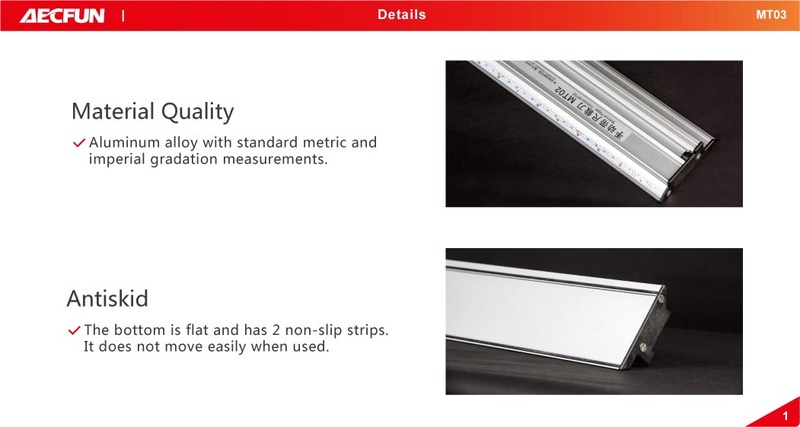 Safety Ruler tend to be made from aluminium, because plastics or woods can easily be damaged by cutting tools. There are two anti-slips on the flat size of the ruler, which creates friction, holding the materials tightly, avoiding moving. Advertising ruler are commonly used in crafting. They can be safely held while pieces are cut from materials such as paper, card or fabric. They usually have non-slip backing so they will not move when pushing a cutting instrument against them. These rules allow the user to cut or score long straight lines easily. It may also be used for precision drawing. The design of safety rules means that the edge you use is particularly visible, so accurate lines can be drawn from them. It is equipped with visible and precision measurements along their edge, standard metric and imperial gradation measurements. They can be used for measuring, in the same way as standard rules. 1. Q:What material is it? 2. Q: How many sizes does it has? 3. Q:How about the MOQ? A: 1 box(6 pieces/ box). 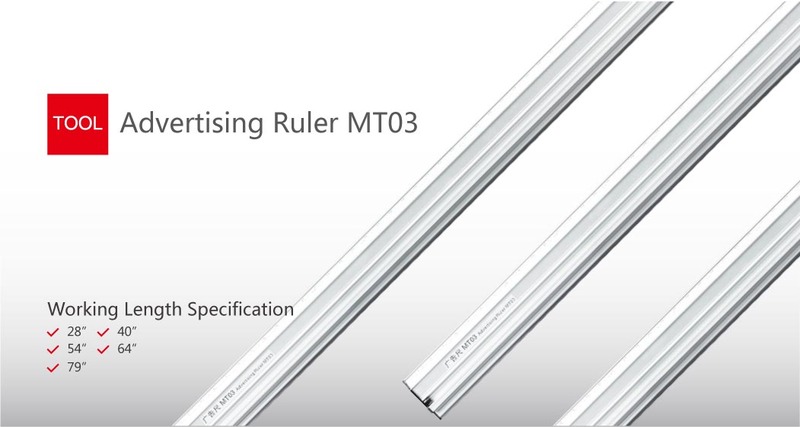 4.Q: What is the difference between MT03 and a normal ruler? A:Groove design, with protective effect.